The Russian-born American pianist, Julia Zilberquit, was born into a family of musicians and began to play the piano at the age of four. She graduated from Moscow's Gnesin School of Music and immigrated with her family to the USA in 1989. She has received her Bachelor and Master of Music degrees from The Juilliard School where she was a scholarship student of Bella Davidovich. Julia Zilberquit has earned critical acclaim as a recitalist, orchestral soloist, chamber musician and recording artist. As the first prize winner of the 1994 Vienna International Music Competition, which launched her career, she performed as the soloist with the Wiener Kammerorchester at the Vienna Konzerthaus and Linz Bruckner Haus. She has also appeared with the Sinfonia Varsovia Orchestra under the baton of Sir Yehudi Menuhin in L.v. Beethoven's Piano Concerto No. 4 at the prestigious Beethoven Festival in Vienna, and gave solo recitals at Vienna's Schoenbrunn Palace and the Boesendorfer Hall where her success resulted in return engagements. Her arrangement of Dmitri Shostakovich's Concertino in A minor, Op. 94, originally scored for two pianos, into a one-movement concerto for piano and chamber orchestra brought her international recognition and received enthusiastic reviews from all over the world. It was premiered at the 1996 International Music Festival in Seattle with the New European Strings Orchestra under Dmitry Sitkovetsky. She received high praise for her debut with the Deutsche Symphony Orchestra at the Philharmonic Hall in Berlin performing Schumann's Piano Concerto in A minor where the Tagesspiegel called her "the romantic poetess of the piano." SVETLANA SMOLINA has performed with orchestras and recitals worldwide. Notable appearances with orchestras include Mariinsky Orchestra at Carnegie Hall, New York Philharmonic at Avery Fisher, St.Petersburg, Philharmonic, Orchestra National de France, Odessa and Nizhny Novgorod Philharmonic, Pittsburgh Symphony, New Florida Philharmonic, Shreveport Symphony, New York Chamber. A frequent guest at festivals worldwide, Ms. Smolina has performed at the Salzburg Festival, Hollywood Bowl, Ravinia Rising Stars, White Nights, Maggio Musicale, Mikkeli, Ruhr, Easter, Rotterdam Phillips Gergiev, International Gilmore, Settimane Musicali di Stresa, Michelangeli, Hennessy Artists Series at Hanoi Opera House, The Voice of Music in Upper Galilee,in Royal Covent Garden Opera, Mariinsky 3 Concert Hall, Tchaikovsky Moscow Conservatory, Mozarteum, Merkin Hall, Kravis Center, NJPAC, Gulbenkian Foundation, Grand Artists Series in Tel-Aviv, Academia Santa Cecilia in Rome. An Israeli pianist and composer, Yoni Levyatov is a recipient of the Dorothy McKenzie Artist Recognition Award (New York, 2001 and 2004; Harold Bauer Award, (NY, 2005 and 2006); and the Clairmont Prize, (Tel-Aviv, 2003). He has been a recipient of the America-Israel Cultural Foundation scholarship since 1990. Mr. Levyatov’s recent appearances include performances at Steinway Hall, NY; Menora Hall in Manchester, England; Spiegelsaal, Rheinsberg, Germany; Auditorium de Cajacanarias, Tenerife; Philharmonic Hall , St. Petersburg, Russia; Jerusalem Music Center; Tel-Aviv Museum of Arts. He made his critically-acclaimed debut in April 2006 at Alice Tully Hall at Lincoln Center, New York. Mr. Levyatov made his New York concerto debut in 2005 playing the Schumann concerto under the baton of Phillippe Entremont, as the winner of the Koch Competition, and his Israeli concerto debut under the baton of Marek Piarowski, playing the Schumann concerto with the Jerusalem Symphony Orchestra. He has received guidance from Earl Wild, Peter Frankl, Ruth Laredo, Gyorgy Sandor, David Dubal, Charles Rosen, Emanuel Ax and Alicia de Larrocha. Past teachers include Dr. Solomon Mikowsky and professor Alexander Volkov. Until recently, Mr. Levyatov had been pursuing his studies at the Manhattan School of Music, NY, with Constance Keene. He is currently studying with the distinguished pianist Jerome Rose. Mr. Berlinsky has performed in such major venues as Carnegie and Avery Fisher Halls in New York, The Kennedy Center in Washington DC, Tokyo's Suntory Hall, the Great Hall of the Moscow Conservatory, the Leipzig Gewandhaus, the Berlin Schtatspiellhaus, the Munich Herkulessaal, the Palais des Beaux Arts in Brussels, the Bonn Beethoven Hall, and Le Place des Arts in Montreal among others. Grammy nominated violinist Anastasia Khitruk has appeared as a soloist with orchestras and in recitals worldwide. 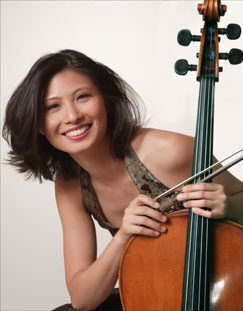 Her talent was immediately recognized when she made her orchestral debut at the age of eight. Ms. Khitruk's playing is characterized by passion and intense musicality and she "radiates an inner force that galvanizes the performance and mesmerizes the listener." Anastasia has appeared in recitals in Europe at such prestigious venues as the Salle Cortot (Paris), Sala Bulgaria and the National Center for Culture (NDK) (Sofia, Bulgaria), Opéra d'Avignon (France), Theatre du Cavaillon (France), Teatro Carlo Fenice (Genoa, Italy), Salons de Musique (Geneva, Switzerland), and the Royal Palace (Stockholm), ADMF (Abu Dhabi) and numerous appearances in Moscow and St. Petersburg (Russia). In the United States, she performed at Weill Hall, Aspen Music Tent (Colorado), Lincoln Center's Alice Tully Hall, Symphony Space, Merkin Concert Hall (New York City), and Bargemusic (Brooklyn), as well as numerous performances in Boston and Los Angeles. Bela Horvath was born in Hungary in 1982, beginning his violin studies at the age of four with his grandfather. Being a student of the Bela Bartok Conservatory, Mr. Horvath won the National Janos Koncz violin competition in Hungary in 1998. His success continues, and the next year Bela was one of the finalists at the International Carl Flesch violin competition. He received a special prize for the best interpretation of the 20th century piece which was written for the competition by Miklos Csemiczky. Though his performances overseas and throughout the United States have included radio and television broadcasts, recordings, and solos with orchestras and chamber music concerts, he is best known as a recitalist. His recital programs invariably include shorter works, of which he is so fond, as well as the larger masterpieces of the violin repertory. Besides focusing of making his Master’s Degree, Bela Horvath also enjoys collaborating with other instrumentalists around the world. With one of the group he has recently recorded a chamber music for “Marquis Music” in Canada. Albanian-born Mialtin Zhezha is an accomplished violinist and violist. Since his orchestral debut at the age of 13 in Tirana, Albania, he maintains an international performing career. His performances have taken him to three continents in countries such as Italy, Greece, Great Britain, and Japan, to mention a few. Mr. Zhezha has performed across the United States to critical acclaim in major halls such as Carnegie Hall, Merkin Hall, and Miller Auditorium among others. Named Robertson prize winner of the 13th Primrose International Viola Competition, violist Cong Wu has collaborated with Christoph Eschenbach, Paul Katz and Itzhak Perlman and American String Quartet, giving concerts throughout North America and Europe. Playing as the principal violist of the Juilliard Orchestra during his years at the Juilliard, Cong has served as principal violist of the Schleswig-Holstein Festival Orchestra in Germany and the China Youth Orchestra in Beijing, under the batons of Christoph von Dohnayi and James Levine. Originally from China, he has studied at Beijing Central Conservatory of Muaic with Wing Ho and The Juilliard School with Heidi Castleman and Hsin-yun Huang. Mr. Wu is currently pursuing his doctoral degree at the Manhattan School of Music, studying with Pinchas Zukerman and Patinka Kopec. A Grand Prize winner of the Vittorio Gui International Chamber Music Competition in Florence and Premio Trio de Trieste in Triest, as well as Premio della Critica in Italy , Mr. Tchekmazov has performed throughout the North and South America, Europe, Russia, and Asia. 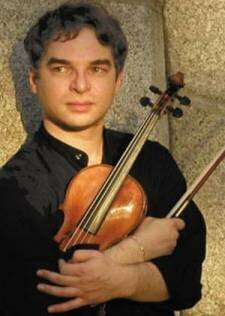 As a frequent performer with the Jupiter Chamber Players and Lyric Chamber Music Society in New York, and at the Phillips Collection in Washington , Andrey Tchekmazov has "impressed his audiences with big, warm tone and ... Russian brand of virtuosity" - Strad, London -New York. Adrian Daurov, cellist, was born in St.Petersburg, Russia, studied at the St.Petersburg Conservatory with Anatoly Nikitin. From the early age Adrian appeared as a soloist and chamber musician on the main concert stages of St.Petersburg, Moscow, as well as in Europe and the U.S. He made his debut with the orchestra in 1997 with the St.Petersburg Symphony Orchestra. Adrian was awarded with 1st prizes at the international music competitions in Dobrich, Bulgaria (1996), Peter De Grote, Groningen, The Netherlands (2001) and the LISMA Foundation Competition in NY (2006). In 2004 he toured Germany as a soloist with the St.Petersburg Chamber Orchestra and was appointed the Principal Cellist of the Bayreuth Festival Youth Orchestra under conductor Peter Gulke. He currently studies with David Soyer at Juilliard School of Music. In June 2007, Mr. Daurov was appointed the Principal Cellist of The Chamber Orchestra of New York under conductor Salvatore Di Vittorio. He recently performed the World Premiere of Behzad Ranjbaran’s “Fountains Of Fin” at Bargemusic in New York. In June 2008 Adrian was featured in Gala Concert In Celebration Of Russia’s Independence Day at Carnegie Hall among the world-famous soprano Elena Obraztsova and tenor Vladimir Galuzin. Adrian recently performed the World Premiere of “The Epistle” for Cello Solo and Choir by a Siberian Composer Yuri Yukechev with The Russian Chamber Chorus Of New York. The Argentine pianist Mirian Conti enjoys a growing reputation as a musician whose performances combine technical brilliance with striking originality and artistic insight. Stylistically assured in a wide range of repertoire, Ms. Conti is considered a leading exponent of Spanish music; and her rare ability to communicate passion and excitement when playing contemporary scores has won the admiration of leading American and Argentine composers such as Bowles, Broeders, Cohn, Diamond, Gould, Lees, Persichetti, Ramey, White, Zyman, etc. She premiered Lalo Schifrin's Piano Concerto No.2 at the Dorothy Chandler Pavillion in Los Angeles. She was invited by the French Cultural Center in Tangier, Morocco to perform a concert in homage to Paul Bowles. She has made solo, orchestral and chamber appearances at Alice Tully Hall, Merkin Concert Hall, Weill Recital Hall at Carnegie Hall (debut in 1987 as a winner of Artists International Auditions) in New York , and has performed at numerous concert halls throughout the world, including the Teatro Colón in her native Argentina. Konstantin Soukhovetski is rapidly earning a reputation as a “young pianist who captivates” with his “distinctive lyricism”, “immaculate technique” and “vigor…refinement… and drama”. Mr. Soukhovetski won the First Prize and Audience Prize at 2007 New Orleans International Piano Competition and can be heard this season with The Louisiana Philharmonic, LA; Kennett Symphony, PA; Baton Rouge Symphony, LA; Acadiana Symphony, LA and Erie Philharmonic Orchestra, PA as well as solo recitals at Tri-C Series in Cleveland, OH; “Evelyn Miller” Series in Knoxville, TN; Gala for Auburn Symphony Orchestra, Auburn, CA; Apollo Arts, Oregon House, CA; Manchester Music Festival, VT; Elmira College, NY; Emory-Oxford College, GA; Forum Series in Banner Elk, NC; 21-Century Club, Cleveland, OH; The Prizery, South Boston, VA; Haywood Arts Council Piano Series, Waynesville, NC; Goddard Riverside concert series in New York, NY and at Loyola University’s Roussel Hall presented by the Music Society of New Orleans. Mr. Soukhovetski will also appear at The Kennedy Center with Biava Quartet this season.